Parents of children with disabilities may feel overwhelmed. Our firm is here to guide your family through some of these challenges. 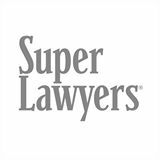 Our attorneys have been professionally and personally involved with individuals with special needs. When children have autism, cerebral palsy, Down syndrome, genetic disorders, or psychiatric or other disabilities, parents may be too concerned with caring for their child to address legal issues. Our firm is here to help you understand these legal issues. When a child reaches age 18, that person is legally an adult. We are here to help guide you through this transition. It is never easy trying to navigate through governmental programs, but your adult child may be entitled to benefits such as Medicare, SSI, Medi-Cal and Social Security. In addition, we can also help you evaluate whether it will be necessary for you to obtain legal authority to act on behalf of your child. In some cases, it is possible that your child can make her own decisions or can simply sign a power of attorney giving the parents the authority to act. However, in other cases, a regular or limited conservatorship may be necessary. Some of the planning techniques discussed here may be useful in your situation. The Achieving a Better Life Experience (ABLE) Act of 2014 allows people who have disabilities that began before they turned 26 to keep money in a special tax-advantaged account. The first $100,000 in an ABLE account does not count against the $2,000 Supplemental Security Income (SSI) resource limit, and none of the money in an ABLE account is counted for determining Medi-Cal eligibility. A person with a disability can only have one account and a total maximum of $15,000.00 can be contributed to it annually. However, recent legislation states that ABLE account owners can contribute above the $15,000.00 (possibly up to an additional $12,060 depending on the gross income of the account owner). Any money in this account can be used on a broadly defined “qualified disability expense”. Soon, we will have an ABLE program in California. In 2015, the California State Legislature created the CalABLE Board to implement the CalABLE program. More information on CalABLE is available on the Board’s website at www.treasurer.ca.gov/able. If you want to open an ABLE account now, you can use an ABLE program established in another state. To find information on ABLE accounts in other states, visit the ABLE National Resource Center at www.ablenrc.org. Watch this website for more developments on the ABLE account. A special needs trust (SNT) can play an important part in preserving the financial security and lifestyle of a person with a disability. Special needs trusts allow individuals with disabilities to qualify for needs-based government benefits while holding on to additional assets which can be used to pay for expenses not covered by such government benefits. If a special needs trust is set up correctly, the beneficiary will not risk losing eligibility for government benefits, such as Medi-Cal or Supplemental Security Income (SSI), because of income or resources in excess of the eligibility limits. Special needs trusts generally fall within one of two categories: first party or third-party trusts. The difference in each of these trusts is based on whose assets were used to fund the trust. A first party trust is one that is funded with the assets belonging to the person with a disability, such as an inheritance, a personal injury settlement or money gifted to them by a family member. Usually the asset was owned, controlled by or managed by the person with a disability. A third party trust is established by and funded with assets belonging to someone other than the beneficiary. A third party trust is not controlled by the person with a disability. Generally, when a parent or guardian wishes to establish and fund a trust for the benefit of a person with a disability, the attorney recommends a third party special needs trust be set up for the person with a disability. When the person with a disability has his or her own assets, it may be more appropriate to set up a first party special needs trust. However, it is crucial to take a look at the person with a disability’s entire situation and determine his or her goals so that the individual’s plan can be tailored to meet his or her needs. If you have a family member who may not be able to work or live independently, she may need to remain eligible for “means-based” public benefits, such as SSI or Medi-Cal, throughout her lifetime. 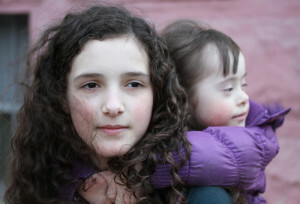 The receipt of an inheritance by your disabled child might cause her to lose her eligibility for these vital benefits. We will help you evaluate the needs of your child or other family member and determine whether a special needs trust (SNT) would be beneficial. A properly drafted special needs trust can hold assets for the benefit of a disabled person without those assets counting as the property of the disabled person. The assets of the special needs trust will supplement the public benefits your child may be eligible to receive and will make it possible for your child to have the same quality of life in the future. We will help you determine whether a special needs trust should be part of your estate plan. In addition, we can also help you evaluate whether a special needs trust should be named as the beneficiary of your IRA or other retirement plan. If you are the trustee of a special needs trust for the benefit of a person with a disability, you may have many questions. Robinson & Fulton Law is able to guide you, as a trustee, so that you make proper distributions to the beneficiary to ensure that the beneficiary is provided for, but does not lose essential public benefits. For a discussion and chart of a comparison between ABLE accounts and special needs trusts, please check our blog under “Comparing an ABLE Account with a Third Party Special Needs Trust” on March 22, 2017, or you can review and print the chart here: ABLE Account compared with SNT (edited March 2017). An inheritance. Receiving an inheritance can cause a person with special needs to lose needs-based public benefits. However, if the inherited assets are placed into a first party SNT, the person with a disability can continue to receive these crucial public benefits. A settlement from a lawsuit. A first party SNT can allow an injured plaintiff to receive an award in a personal injury or medical malpractice case without losing eligibility for public benefits. If the settlement is a lump sum payment or by way of a structured settlement/annuity, either type of award can be directed to a first party SNT. This ensures that the litigation recovery can be saved for injured plaintiff’s future needs while preserving his or her eligibility for needs-based public benefits. A divorce settlement. If a spouse with special needs is unable to work and qualifies for public benefits, it may be helpful to have a first party trust incorporated into the divorce settlement. If a settlement calls for the working spouse to pay the non-working spouse in a lump sum equitable distribution and/or monthly alimony, either type of payment can be directed to the trust, instead of to the spouse. The spouse with the disability would then still be eligible for needs-based benefits through SSI and Medi-Cal.